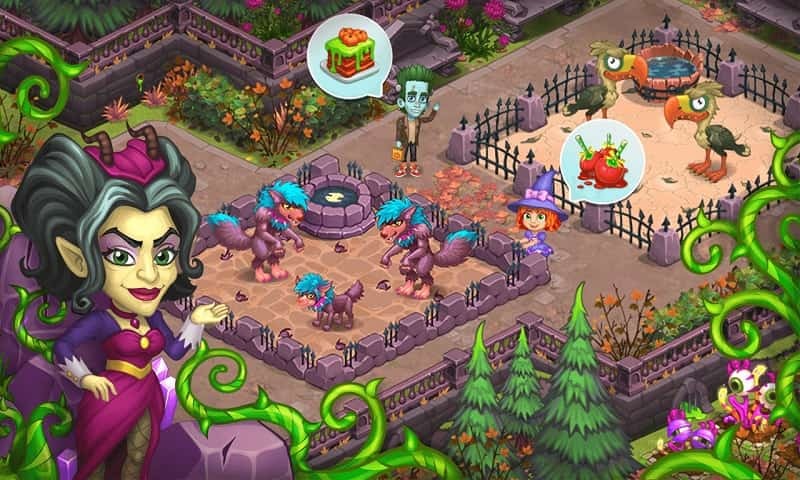 If you love playing casual simulation games and are a fan of spooky monsters such as zombies and skeletons, keep reading to discover everything you need to know about playing Monster Farm. In Monster Farm, you’ll get to control the fate of a unique farm where you’ll be able to grow your own monsters. 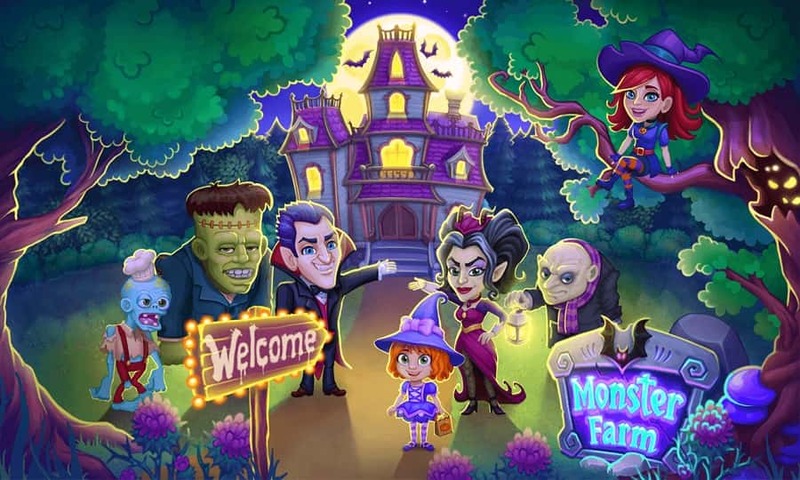 The basic premise of Monster Farm is to help your monsters become more advanced and to try and build the most successful, profitable farm in your district. 1. 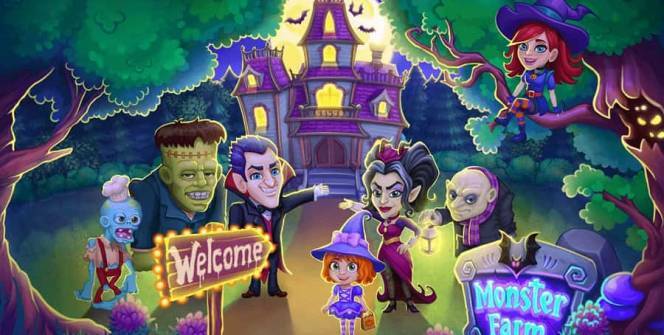 You’ll be able to grow a wide array of spooky, scary creatures. Instead of growing normal produce such as potatoes, lettuce, and tomatoes you’ll get to grow exciting crops such as zombies, ogres, and skeletons. Part of the fun of playing Monster Farm is unlocking new monsters and seeing them pop out of your farm’s dirt. As you never know what type of spooky monster you’ll unlock next. If you assumed Monster Farm: Happy Halloween was a horror-themed game, think again as all of the monsters which you’ll grow on your farm are adorable and beautifully animated. If you’re a competitive gamer by nature, you’ll be able to try and increase your world ranking by working your way up Monster Farm’s in-game leaderboard. 1. Work on increasing your farm’s monster population as soon as you start playing. The key to unlocking brand new monsters and earning a sizeable profit is to work on increasing your farm’s monster population from the get-go. As the more monsters your farm grows, the more money your farm will bring in and the quicker you’ll be able to unlock new monster species. 2. Make sure to feed your monsters regularly. In order for your monsters to earn your farm money, you’ll need to remember to feed your cute monsters on a regular basis. As if you fail to feed your monsters their health will decrease and they won’t earn your farm as much money as they could earn for your fledgling farm. 3. Consider purchasing high-level monsters. You’ll also have the option of purchasing high-level monsters early on in the game, which will drastically improve your farm’s ability to bring in cash. However, if you don’t want to spend your hard earned money on purchasing high-level monsters, with patience you’ll be able to unlock the same monsters, which are available for purchase. 4. You’ll earn more money for your farm if you grow higher level monsters. While higher level monsters typically take longer to grow, once they have grown to full size they’ll each bring in far more money than a low-level monster. So it’s well worth having patience and opting to grow as many high-level monsters are possible. Rather than churning out dozens of low-level monsters. So if you love playing cute simulation style games, you’ll quickly get addicted to Monster Farm. A game which is quick to learn but will keep you entertained for hours on end! As you’ll soon get hooked on trying to climb Monster Farm’s leaderboard. Sometimes when playing Monster Farm: Happy Halloween, bluestacks ask you fee to pay but gives you option to download some apps. Every time it asks you just select “Install apps” and continue using it free. I hope you enjoyed this article, please rate and share. If you have problems running Monster Farm on your desktop or any other issues, leave a comment below.